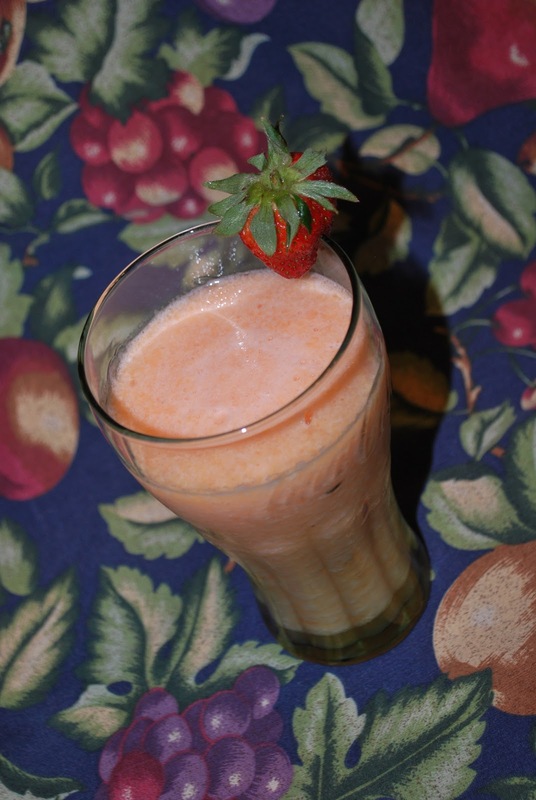 On a couple recent visits to local Chinese restaurants, I have ordered cantaloupe smoothies. It's such a refreshing beverage. I've only had it a couple times because 1) It is a huge portion and 2) It's pretty expensive. I think the last one was $4. So, I decided to try and duplicate it at home. 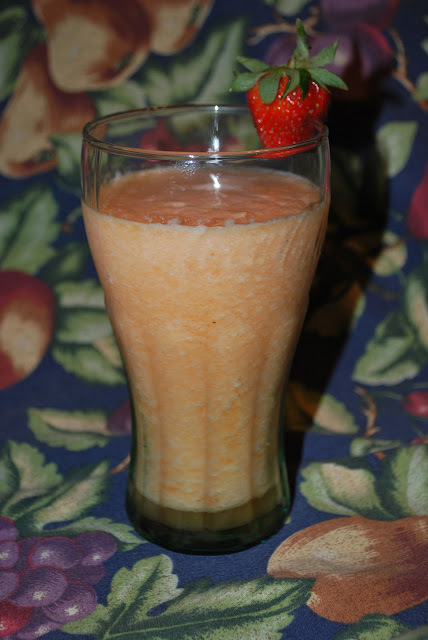 To me, it seems more like what I would call a slushie or an icee, rather than a smoothie. To me, a smoothie includes yogurt and the one I get from the Chinese places doesn't have that kind of taste and it's also not quite as thick as other smoothies I've had. Add all ingredients to blender. Blend until smooth. It wasn't quite the same as what I'd get at the Chinese restaurants, but it's a good substitute when I want that sweet melon taste...and it's cheaper and in a smaller quantity.